In a nation of gardeners, greenhouses are perenially popular! 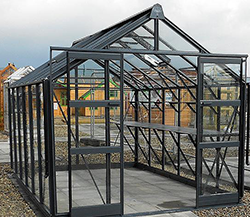 Most of our greenhouses come from Elite Greenhouses Limited, a family company established in 1953. Elite products are all made in the UK and we are proud to be an agent for their high quality products. We also stock ancillary products such as automated vents, rainwater kits, staging and shelving. If you need a spare part, we also keep those in stock. In 2016 Elite are introducing a new range of colours in their powder coated range so watch this space! 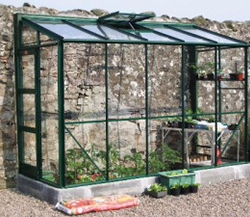 We offer a greenhouse installation service. 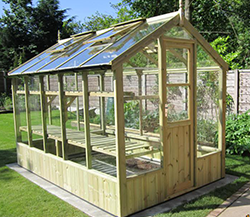 Our greenhouse installer, Keith, has had over 25 years’ experience in the trade so if you open the box and it all looks like a giant jigsaw puzzle, keep calm, give us a call and he’ll come and put it up for you!